Dunkertons Cider expert insight: Picking the perfect cider this summer. 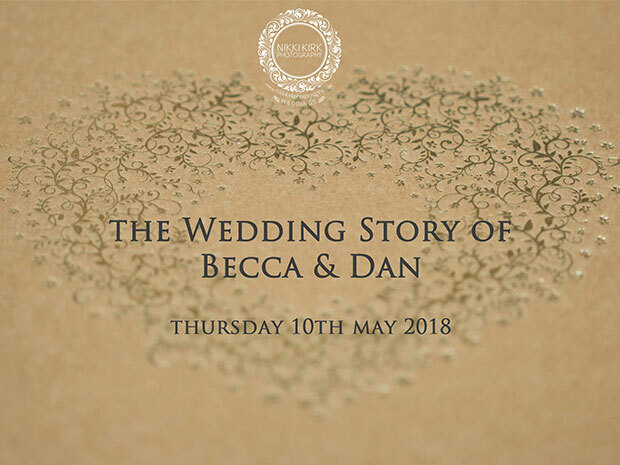 Holding their special celebrations within the stunning setting of Birtsmorton Court in Malvern, Becca and Dan enjoyed a spring wedding with a natural, rustic countryside theme. Rings including engagement ring: Engagement ring from H.Samuel, both wedding rings from Ernest Jones. When and how did you first meet? We actually first met while we were both in separate relationships, this was in Pittville Park. A few months later when we were both single, a mutual friend brought us together one night, at my uni house, and we watched films together. From then, we spent months talking, and finally met up properly. (I knew he fancied me for ages!) He was completely different to any other man I had met before. We are complete opposites in terms of personality, but we just ‘clicked’. I knew there was something special about him. We officially got together in November 2017, and the rest they say is history. Who popped the big question and how did they propose? Dan proposed to me on the Wednesday 1 July 2015 on top of the big wheel in Weston-Super-Mare. His original plan was to propose to me on the beach, while I was ‘paddling’ in the sea. This didn’t go to plan as the tide was out! So, when the carriage stopped at the top, he got down on one knee. My first response was ‘Have you asked my Dad?’. Then of course, I said yes! How long did it take you to plan your wedding? Why did you choose your venue? We instantly fell in love with Birtsmorton Court. The grounds just take your breath away with their beauty. 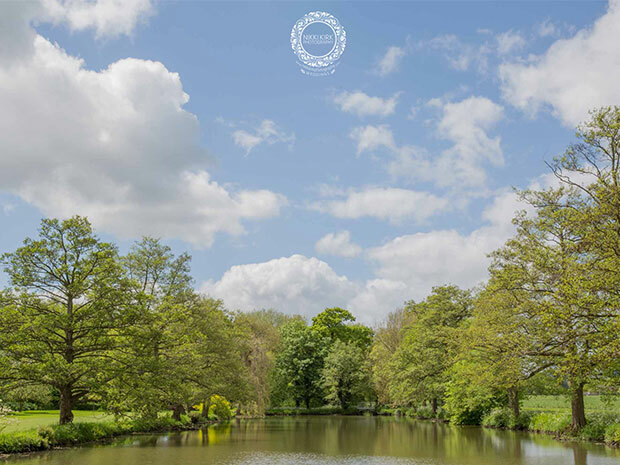 The venue is yours exclusively, there’s a gorgeous white bridge at the edge of the water and there’s even swans – what more could a girl wish for?! We were also wanting to get married outside and the white garden is so peaceful. Growing up in the Cotswolds I wanted to feel like I was in the countryside. The staff were so welcoming. Was there an inspiration or theme for your wedding? Lilac was the main colour theme, throwing in parts of the countryside in with it. We were also wanting to remember our loved ones who are no longer with us, so parts of them were intertwined in every part of the day. My Gran’s broach was attached onto my wedding flowers, and the money she left me, paid for my wedding dress. I know she would have loved it. I even managed to show my Grandad my dress before he passed, and it brought him to tears. I just wish they could have been there in person. We grew lily of the valley from their garden, and this was on our top table. What made you choose your photographer? I have known Nikki for many years, and for me it was always going to be her. She made us feel completely at ease, which is what we wanted. She’s a wonderfully talented lady. How did your wedding photographer capture your big day memories? She picked up on all the little details, which represented us, and also reflected our personalities. Particularly Dan – we had a ‘Peaky Blinders’ themed photograph or two with all the lads. Our little four-month-old nephew even sported a flat peak!! 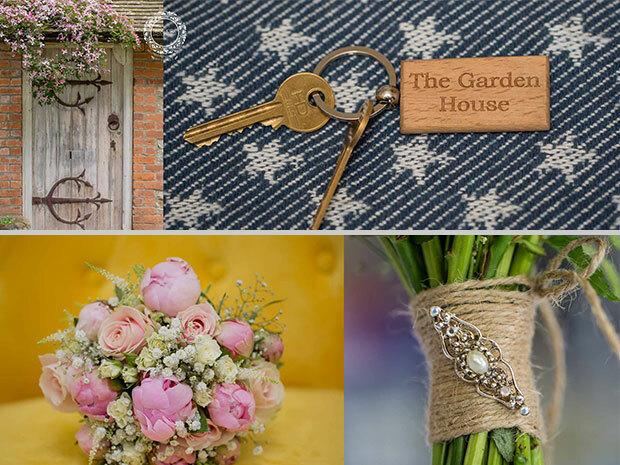 Did you hire a wedding planner or was it a DIY affair? We planned the day ourselves. I work alongside the events team in the office, so they were great in giving me little pointers in the right direction! I thoroughly enjoyed putting it all together. Did you make, design or create anything yourself? Yes the order of the day, and the table plan were created myself. My Dad got some left-over wooden pallets for me from his work. We sanded them down, and white washed the table plan pallet. That was great fun. Each table was represented by a lavender plant, with a tag of the names hanging down from the pot. My wedding dress is the most beautiful dress I have ever had the pleasure to wear. It was white, and lace. It was sleeveless, and had detailing at the top, slim fitting & elegant. The veil had the most gorgeous edging, including pearls which I love. I didn’t want to take it off at the end of the night. What did the groom wear? Dan wore a dark blue Ted Baker suit complete with waistcoat, and a lilac crevette. Did you incorporate any special family details or heirlooms, for example? As mentioned above, my Gran’s broach was on my wedding flowers. We had a special table for our lost loved one’s photographs. There was a copper lantern on the table with a candle inside. On the outside of the lantern I wrote in white chalk pen a poem to remember them. We also had their photos with us at the ceremony as we were stood saying our vows. They were very special people to me and Dan, so it was important to feel like they were there. 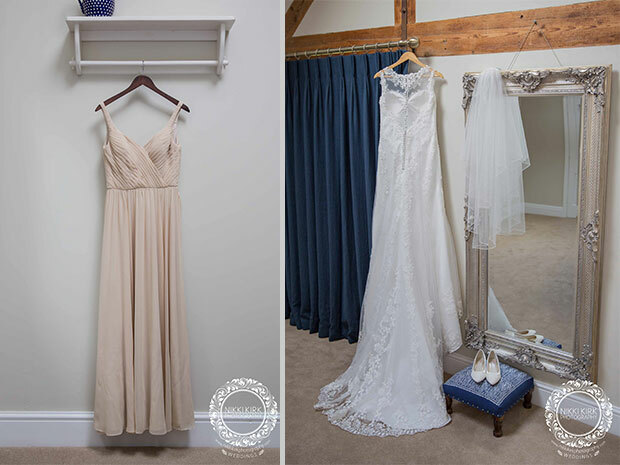 Did you have something old, new, borrowed and blue? Yes, my Gran’s broach was old. My dress and shoes were new. I borrowed a friend’s garter which had blue on too. ‘A Thousand Years’ (part two) . Me and Dan spent a lot of our time together watching Twilight! What did you have for your wedding breakfast? Slow Cooked Beef with Buttered Spinach, Confit Shallots, Chantenay Carrots, Fondant Potato, Port and Merlot Reduction; followed by White Chocolate Cheesecake served with Raspberry Coulis, Dark Chocolate Sauce with Chocolate Straw. What kind of cake did you go for? We had a ‘semi naked’ wedding cake presented with fresh flowers, that matched my wedding bouquet. It was three tiers – carrot cake, lemon and poppy seed, and caramel. We also had a small separate gluten free lemon drizzle for our gluten free guests. What was your first dance song? What was your favourite part of your wedding day? Having all my favourite people in the world, all in one place, to celebrate our wedding. Did everything go to plan? Yes – although we had created a wedding slideshow of all of our childhood photos to display in the evening, but we completely forgot about it, and so it didn’t happen. 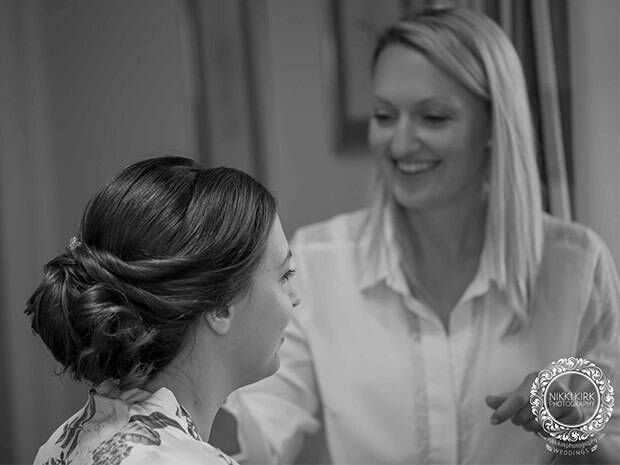 What advice would you give anyone planning their big day? Make things, or include things that represent you as a couple. It’s the little things that really matter. Also, don’t worry about pleasing others – the day is all about you & your partner. You don’t need any extra stress! Is there anything you know now that you wished you’d known before the big day? The day will fly by in a whirlwind – just relax and enjoy it. Don’t fret over the little things! And finally, where did you spend your honeymoon together? We are looking to go away on honeymoon in September hopefully – possibly Greece. We spent some days away after the wedding on a ‘mini-moon’, at The Bath Priory, The Old Swan & Minster Mill, and The Fish which was just perfect. For more information about Nikki Kirk Photography visit nikkikirkphotography.com directly. There’s just a couple of weeks left to vote for your favourite café in this award, sponsored by @nfumoreton.